Thames hydro plant nears completion Jump to media player A hydro electric plant on the River Thames at Sandford-on-Thames, Oxfordshire is expected to be finished in August. 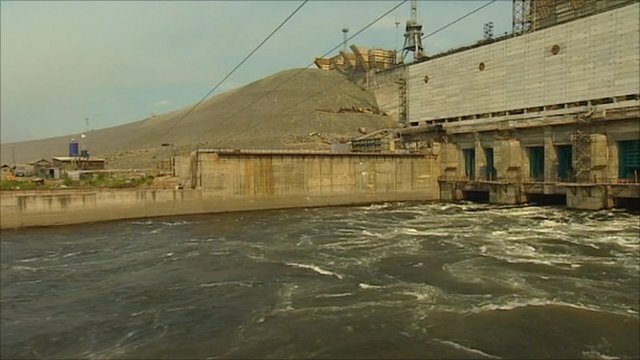 Hydro-electric dam to power China Jump to media player Oleg Deripaska aims to build a series of hydro-electric dams in remote eastern Siberia and export the power to China. A hydro electric plant on the River Thames at Sandford-on-Thames, Oxfordshire is expected to be finished in August.